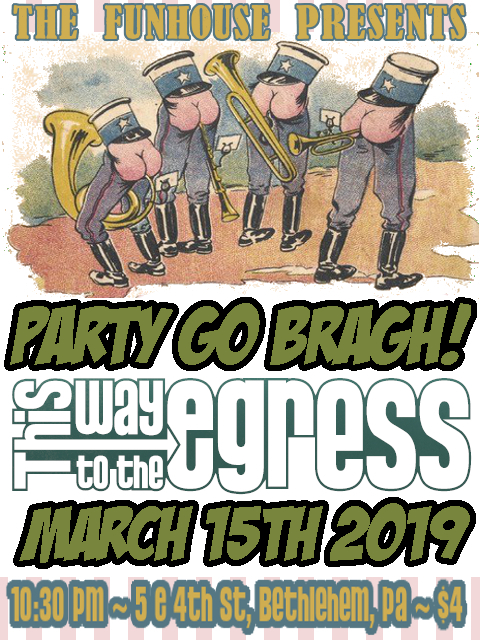 The Funhouse & EGRESS Present~ Party Go Bragh! Our first show of 2019 and its gonna be a boozy-doozy. A full night of foot stomping, fist pumping EGRESS tunes. It'll more than just your beer green with envy.